First, it’s 100 degrees outside, and second I just got back from vacation in California where I ate a lot of vegan food. Both of those factors combined in my decision to make this noodle-y salad for lunch. It’s fast, simple, and easy and you won’t slave over a hot stove for too long! Soba noodles are made from buckwheat and come in these nifty little pre-portioned bundles. A staple of Japanese diet, soba is great in soup, covered in sauce, or served cold in a salad as we’ve done here. I roasted these veggies in the oven and seared the tofu on the stove-top but if you have a grill I’d recommend that as the way to go for maximum flavor. (As an added bonus, the heat you create from the grill will be outside where it’s already hot and not inside the house). 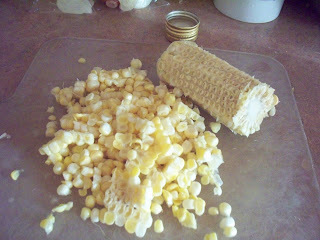 To cut corn off the cob, you’ll want to lob one end of the corn off so that it’s flat. Set the cob vertically on your cutting board using that flat end as the bottom and to stabilize. Take your knife and cut along the cob in a downward motion (away from you too please) to pull all the corn niblets off in little strips. Spin the cob and repeat until the cob is cleaned of corn. There’s a photo above that might better show you what the end result of this is, as I find instructions like these difficult to explain properly. Cook the noodles according to package directions. 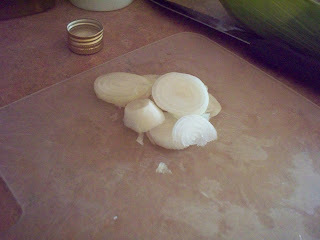 When done cooking, place them in the sink and rinse well with cold tap water. In a grill pan–or on the grill–grill both sides of the tofu until golden brown and tofu has a nice “crust” of sorts on the outside. 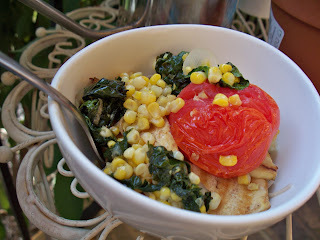 Roast the onion, corn, spinach and tomatoes in the oven until spinach and corn begin to brown and skin of tomatoes gets wrinkly. If you are grilling these veggies, you’ll want to leave the spinach in a bunch and grill the whole bunch, or place the spinach inside a tin foil packet that you can easily flip on the grill. Serve the veggies and tofu over the cooled soba noodles. leah charney, vegetarian, younique eats. Bookmark the permalink. Post a comment or leave a trackback: Trackback URL.